Jaipur, April 3: Although Shreyas Gopal stole the show with three key Royal Challengers Bangalore wickets, India and RCB leg-spinner Yuzvendra Chahal did not disappoint either, as he dismissed both Rajasthan Royals skipper Ajinkya Rahane and Jos Buttler to finish with figures of 2/17 from his four overs. 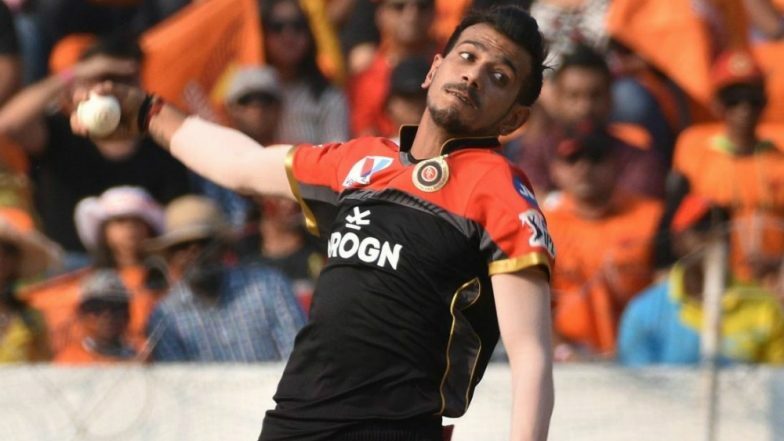 But purple cap holder Chahal, with 8 wickets in four games, feels that the feat would have felt more satisfying if his team had managed to beat Rajasthan and registered their first win in the 12th edition of the IPL. RR beat RCB by 7 wickets | Royal Challengers Bangalore vs Rajasthan Royals Live Cricket Score 14th T20 Match. "Obviously it is a great feeling if you are the highest wicket taker in the tournament, but sad that we didn't win the match," he said. While it wasn't an easy game for the bowlers, both the leg-spinners (Chahal and Gopal) did well and ended with the best figures in their respective teams. Throwing light on this, Chahal said: "Leg spinners have many variations compared to other bowlers. We also get more turn from the surface. The googly and top spinner also spin more." RR vs RCB, IPL 2019: We Have 10 Games to Turn Things Around, Says Virat Kohli. Asked if things are getting more and more difficult for RCB after their fourth loss of the season, Chahal said it was important to stay positive. "It is the fourth loss in a row, but we have 10 games to comeback. You need to stay positive in such a situation," he said. Chahal also reiterated that despite the M. Chinnaswamy being called a batting paradise, he loves bowling on the square. "I am used to conditions there, sixth year with RCB, and I like bowling at the Chinnaswamy," he said.